Fallout 76’s upcoming beta does not yet have a date, but Bethesda has confirmed one crucial new detail. The Fallout 76 beta, which Todd Howard announced for the game at Bethesda’s E3 2018 showcase, is scheduled to start sometime before launch. The beta, or Break it Early Test Application as Bethesda calls it, is currently available only for pre-order customers. 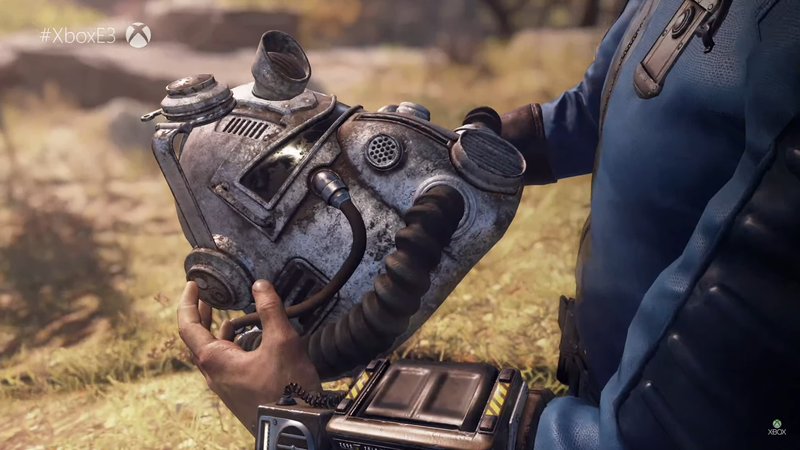 In the Fallout 76 beta FAQ on the official site, Bethesda revealed that Xbox One players will get first dibs. The page sadly doesn’t reveal other important information like a starting date, or how big of a head start Xbox One players are going to have. The decision is certainly not surprising. Many of the big online games these days offer early beta access (among other exclusives) on certain platforms. It seems Bethesda is aligning with Microsoft on Fallout 76 marketing, so it would make sense for the platform to get some exclusives. The Fallout 76 beta will be available on PC, as well as PS4. We’ll still not sure what sort of content we can expect from the beta, either, but much of that will likely become clearer closer to launch. Fallout 76 releases November 14 on PC, PS4, and Xbox One.